Post-holiday season, you’re most likely to find traffic to your site or eCommerce store coming from Apple devices or phablets– if any brand. That’s because both Apple devices and, more generally, phablets were among the top gifted mobile devices this holiday season. According to a report by mobile analytics company Flurry, 44 percent of new phone and tablet activations were Apple devices this year in the week leading up to Christmas and Chanuka. The report also looks at app activation for the major devices to reach its conclusions. In comparison, 21 percent of new activations were on Samsung devices, up one percent from last year. Phablet devices also continued to increase their holiday share, eating away at the market for medium phones, the report said. Other manufacturers that made it to the list include Huawei and LG. That’s surprising because both manufacturers do not have any individual device within the top 35 devices activated. Not surprisingly, Google Pixel is missing from the list. With just two new devices, the Pixel and Pixel XL, and mixed response from the market, Google has so far struggled to make an impression with holiday sales. That’s judging from activations leading up to the holidays alone. So what does all this mean for your business? 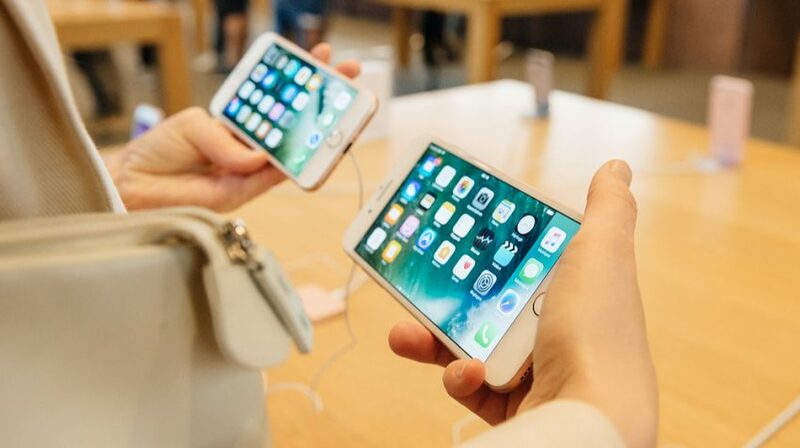 Well, in addition to the fact that many of your customers and clients may be using Apple mobile products, there’s also the question of what to consider for your own next business mobile device. Here are some of the main features of Apple’s iOS 10 for you to consider. First, the operating system comes with comprehensive privacy and advanced security features. So customers may be able to significantly curtail the amount of their data available when visiting your online store or other site. And that should be a consideration when creating your marketing plan. From the perspective of using a device for business, Apple’s multilingual typing feature could be a great tool to reach international customers. Meanwile, popularity of larger phablets over smaller phones of any brand means larger screens to better view and interact with apps and mobile sites so keep this in mind when updating both for your business.